Join us for an evening with Randy Sutton. Randy was born and raised in Princeton New Jersey, where after graduating High School, he joined the Princeton Borough Police department becoming one of the youngest Police Officers in the state. He served the town for ten years before joining the Las Vegas Metropolitan Police Department where he served for almost 24 years, retiring at the rank of Lieutenant. During his service he distinguished himself as one of the highest decorated officers in department history having earned multiple Lifesaving awards, Exemplary Service awards, Community service and a Medal for Valor. He was also awarded a Presidential Point of Light Award by President George Bush for his creation of a reading program for inner city children. 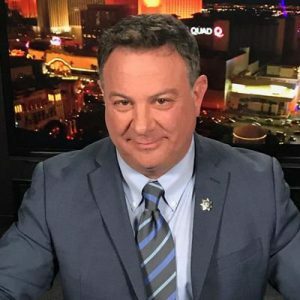 Randy Sutton is a retired Police Lieutenant with the Las Vegas Metropolitan Police, a nationally known commentator on Law Enforcement issues, a speaker, an actor on the big and small screen and the bestselling author of four books on policing and The Power of Legacy. In his inspirational presentation, Randy candidly speaks about his experiences in law enforcement where he became one of the highest decorated officers in the history of the Metro Police. He speaks honestly of how being responsible for both giving life and taking it changed him and put him on a pathway to personal growth and how when he suffered a career ending stroke in his patrol car it altered his life forever. The stroke and his subsequent diagnosis of a life threatening illness gave him a new pathway to explore which he credits to "the gift of clarity" he received when he survived those events. That path led him to travel the United Sates in search of people whose own lives have touched others in great and small ways and speak to them about their Personal Heroes in an effort to inspire others to reach out with kindness, compassion, integrity and honor. That journey became the catalyst for his bestselling book, THE POWER OF LEGACY. Randy continues to touch the lives of others with his words and deeds as he creates his own Power of Legacy.